A NEW outdoor learning experience has been introduced at Young Sussex Nursery in Shoreham, Brighton and Hove. Forest School classes have been launched for the nurseries’ pre-school children, led by Katie Scanlan from The Outdoors Project. Seasonal, weekly classes will be held in the nursery gardens and local parks. The Forest School sessions are free and inclusive to children attending Young Sussex, being run during the nursery day. Group manager Julia Cross said: “We strive to provide the very best opportunities for our children to learn and develop. Forest School is a concept adapted from Scandinavian Nature Nurseries, which were set up to allow children regular access to the outdoors, with the philosophy of child-led learning. The aim is to improve confidence, self-esteem and independence in children, as well as a respect for their outdoor environment. 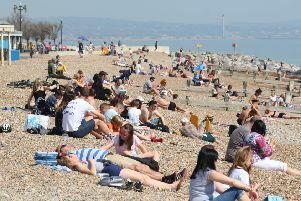 Visit www.youngsussex.co.uk for more information.